What is Subaru University (Subaru-U)? Subaru-U is a partnership between select NATEF/AYES schools and Subaru of America. It was developed as a response to the ever-increasing need for new technicians to enter the retailer service centers. By mentoring a student, the retailer has the opportunity to teach them the soft skills required to succeed in the workforce. By allowing participating schools to provide the basic technical skills, Subaru to provide the manufacturer specific training, and the retailer to provide the real world experience, Subaru Service Centers the ability to grow their own technicians. Will Subaru provide equipment and instructor training at the school? No. All Subaru-U partner schools already adhere to NATEF guidelines for non-OEM specific outcomes in automotive repair. Any Subaru specific training for school instructors and select sponsored students will be conducted at any of the 12 Area Training Centers that Subaru has nationwide. What does Subaru-U provide to the students? Subaru provides access to the Subaru Learning Management System (LMS) for instructors and students of accredited NATEF programs. This allows all of the students to participate in Subaru’s Web-Based Training (WBT) and take our Level 2 test out for technicians at the completion of their program. Students that do get sponsored at a Subaru retailer are also eligible for training at any one of our 12 Area Training Centers nationwide. Other benefits of the program will be announced as they become available. What if I don’t get sponsorship at a Subaru retailer? Even if you are not sponsored by a Subaru retailer, you are still eligible to complete all Subaru web-based instruction. What are the benefits of mentoring or hiring a student from a Subaru-U partnership school? Along with being trained to accepted national standards, the student has had the opportunity to also take their Subaru Technician Level 1 and 2 WBTs. This gives the retailer the chance to mentor or hire a student that has a basic knowledge of Subaru systems, materials, and equipment. Once a student is no longer under an apprenticeship and/or has been hired by a retailer, that retailer can have the student’s credits count towards their total count. As a student, there is no cost to you. All web-based training and instructor-led training (if applicable) are free of charge. However, Subaru does not cover expenses occurred for travel, food, and lodging when taking ILT classes. What does it take to be a mentoring retailer? Subaru is committed to working with NATEF and AYES because these sanctioning bodies already have the processes in place to effectively monitor and evaluate student learning in the workplace. More information concerning the mentoring process can be found at https://www.ayes.org/Dealers.aspx. Am I guaranteed a job after completion? No. 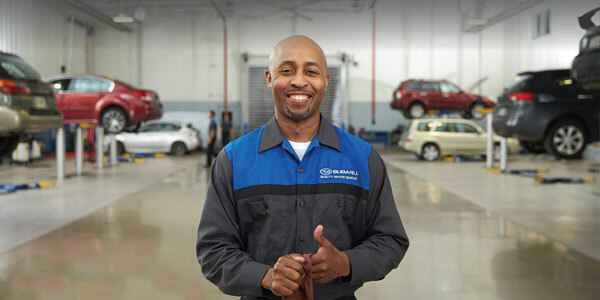 Although this program is designed to help find placement for new technicians in Subaru service centers, full time opportunity depends on retailer needs. Other manufacturers have training programs. Is Subaru-U like theirs? No. Unlike the other OEMs, Subaru is working closely with post-secondary and secondary schools to try to allow young people to determine if a career in automotive technology is right for them. Subaru does not implement dedicated curriculum. Our WBTs are designed to complement the existing curriculum in the schools. How much time will the student be in the retailer shop? Under AYES guidelines, the student is required to apprentice 320 hours during their Junior/Senior summer or whatever schedule is decided between the retailer and the school. Work schedules can be flexible to accommodate both the student and the retailer and are determined by the Apprentice/Service Manager/School Program. Subaru of America is not responsible for scheduling of students. After the required number of hours has been reached, the retailer has the option of hiring the apprentice as a full or part-time member of their service team. What skills will I learn by completing the online Subaru material? The Subaru online material covers information such as repair order write up, Introduction to Subaru Tech Information Systems (STIS), Generic Hybrid, Noise Vibration and Harshness (NVH), along with theory and diagnosis of major vehicle systems. At the time of this writing there are 18 individual WBT’s offered. What kinds of careers are possible by completing this program? Although this program is targeted for getting students in to the area of automotive repair, there are many other career paths that can be found in day to day operations at a retailer. Even though we currently do not offer specific training for these other positions, service advisor, parts management and insurance and finance are just some of the career opportunities at your local Subaru retailer. What if the student isn’t 18? Most insurance companies that work with and insure retailers will cover apprentices as long as they meet all the other requirements of employment. Many of our retailers are taking 16 to 17-year-old students as apprentices. As with anything else, a young technician is an investment. Retailers that put forth the effort to nurture and develop young technicians will reap the benefits of getting the opportunity to retain those highly talented students when they are ready for the work force.